Blog Quick Quotes: Off the Page Video with Kate! Off the Page Video with Kate! Hi Quick Quotes friends, Kate here today! 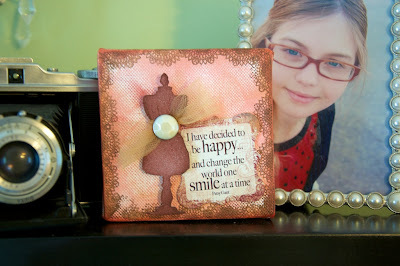 I am so excited to be sharing a video showing you how to create a pretty & quick mini-canvas using Quick Quotes Powder Puff Chalking Inks and Chipboard Die Cuts from the new Cracklin' Rose Collection. The two mini-canvases I created for the video are so feminine. They are a perfect accent to my daughter's newly re-done shabby chic bedroom. 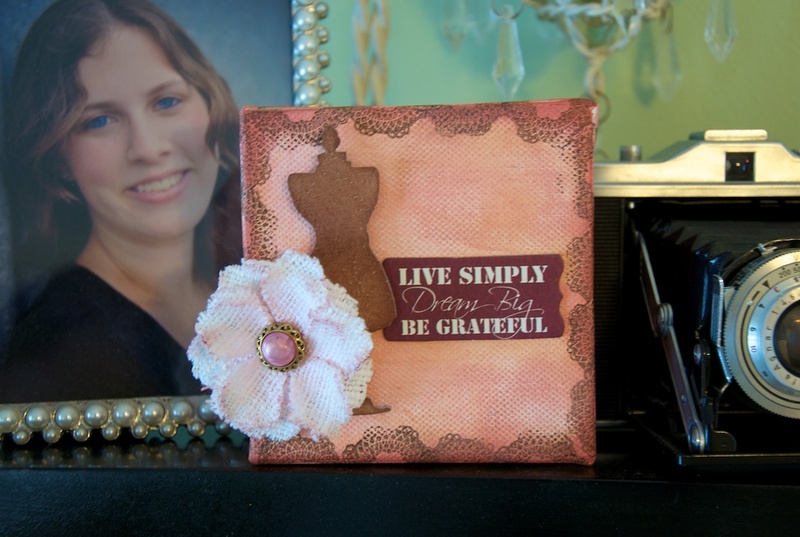 As you can see the quotes from the Cracklin' Rose Chipboard Die Cuts have wonderful sayings. The saying by Pasty in the above photo really does make smile! Quick Quotes products make it easy to create any altered project. I love how the PowderPuff Chalking inks have such great coverage and match the Quick Quotes paper collections! I hope you are inspired to create with Quick Quotes today! Gorgeous canvases! Thanks for the inspiration! Beautiful project Kate. I love how you used the inks for the background and all the elements. Fun cards, thanks for sharing everything@! Wonderful job on the background! Gorgeous canvases and an awesome video!!!! What a beautiful project! And you make it look so easy! Thanks for the wonderful video!